Wow! What a beautiful compressor on leadvocals! I am not the first nor will be the last one to say that but I only can chime in with all my <3 ;-). 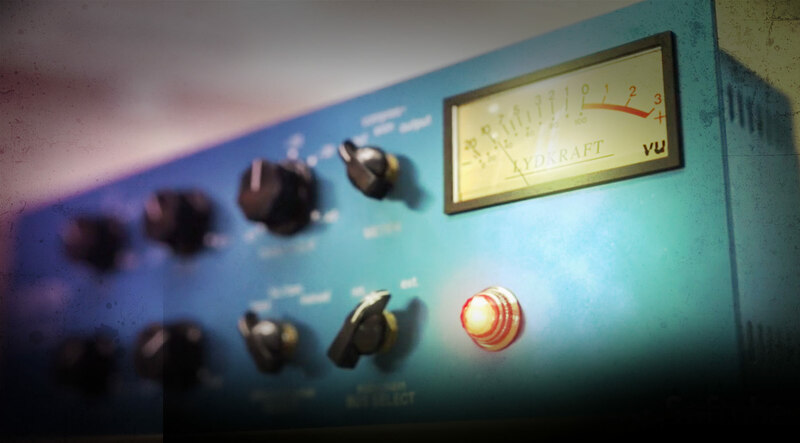 This is one outstanding compressor for vocals! Definitely worth the price. You want big smooth vocals? Look no further than this wonderful, spot on software version of one of the great pieces of gear. I've used the hardware (at OTHER studios) for years. After 7 days recording with the demo, allowing myself a FULL evaluation, I will say it's pretty much spot on to the hardware unit. I seems like it actually has maybe a wewe bit more headroom, or maybe the combination with my new Apollo 8 upgrade from my Apollo is contributing. Regardless, I'm about to pull the trigger. I urge all having a demo yet to be used to do so if you have crucial vocals, bass, even electric guitars to record. My main use is vocally. While I still love my LA2A collection, I find this guy a bit more transparent, and focused overall. I was hoping UA would release a version of this unit, and they did! It delivers. I prefer this over the LA-2A plugin. It has the level of control you would expect from a fully featured compressor and it offers a range of sound that can be almost unnoticeable to in your face! Highly recommended. I won't bother trying to explain the sound, demo it or buy it. It packs a punch, and represents the latest (as of this writing) of UA's analog modeling. I' ve been working with the CL1B for some years...it simply is a workhorse, that always brings a rich patina to the audio. Great Plugin for the uad!!! This Compressor rocks. The CL 1B sounds fat, punchy, big and can sound very smooth. The CL 1B is a great allrounder, for all signals. I used to use hear the real thing on vocals all the time in my old internship and loved it. When I saw this had been released I knew I had to check it out since the real one is my all time favorite vocal compressor. I haven't been able to shoot it out, but I was instantly taken back to that smooth intimate sound that I remembered so well. It just sounds, professional. It works amazingly when paired with my Manley Reference mic. The fact that I can track vocals through this on the way in just makes it that much better, and it's surprisingly very light on dsp. It uses a little less than 5% of my apollo duo. Definitely the best plugin vocal compressor I've heard. When UA released the updates of the 1176 and LA2-A I thought that "no compressor can possibly sound better than this"! Then came the Summit from Softtubes and so I was blown away again. And then I saw this bugger coming into the UA arsenal, and I thought, could there possibly be anything that beats the previous ones? Especially on vocals, bass, piano, guitars, horns, strings or what ever. This Tube tech improves everything. For example vocals: Suddenly your track just sounds naturally warm and fat without any pumping or wobbling at all. Definately my new "go-to" compressor. Hereafter, all other ones lays silently in the UA-archive to never be used again. So sorry to say, but the adoption of apple price politics (charging customers according to their origin) to your online shop is unfair and frustrating. This thing just makes your music sound good, tight, and smooth. Wish it had more presets……i dig the starting point templates to just turn on while I'm creating. other than that its superb. Depth and Tone for Days! This is my favorite compressor, it's my go to for tracking. The detail and fatness is out of this world, just try it! and you'll see. This is by far my favorite compressor on tracking vocals. The Neve 1073 pre paired with this bad boy is one hell of a classic tone and vibe! I became passionate about the Hi-Fi world at the tender age of 12, in 1984 I entered the world of sound synthesis, and from then on I became a composer and producer, mainly, of electronic dance music. From an early age I was educated to listen to Classical Music, Lyric and Pop, then Rock, Classic Rock and Jazz-Rock, I slowly covered all music genres. Now that I am a Mixing and Mastering Engineer I have to say thanks to this beautiful Tube-Tech CL 1B that allowed me to elegantly control with softness drums, bass, double bass, voices, wind instruments, brass and reeds in the mastering and mix of Jazz and Fusion. Also on EDM and Techno, when a compression effect to round off the sound is required. Sound great and do the job perfectly. Warm, nice, with nice top. Todo lo que he leído sobre el CL-1B, es cierto y para bien. Lo compré para las voces y es increíble lo bueno que es. Very impressive, maybe my favourite compressor. Very sensitive knobs. Suitable for everything except maybe the master, because gives a pretty strong color.